I am posting after such a long time, not because I was not making anything new but there has been so much work off late at the store! And then i took a 5 day break away from work and enjoyed Diwali with my family back home! 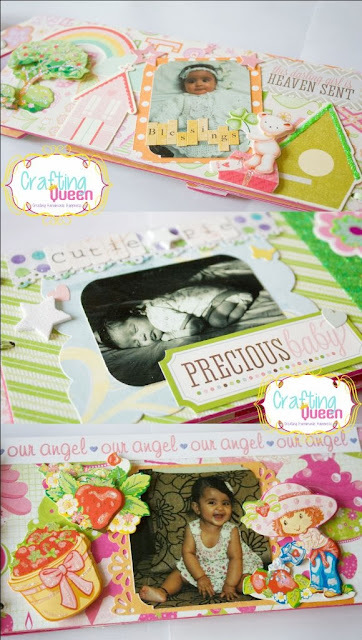 I had finished this name book last month and just didnt get time to share with you guys yet. 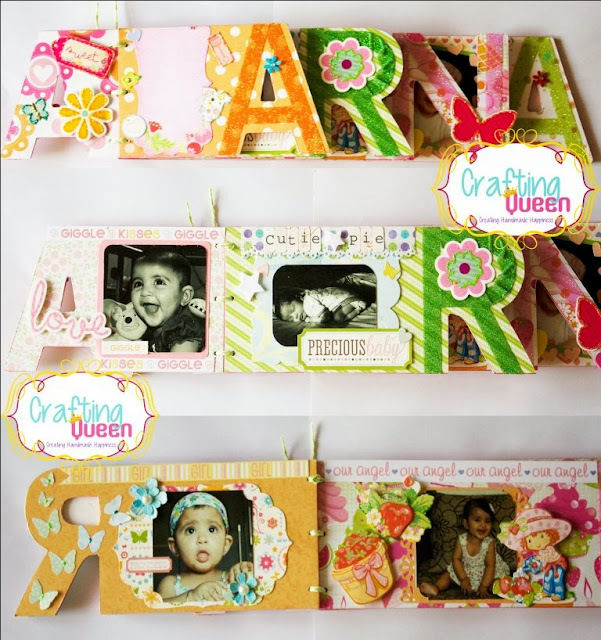 Loved the lil girl and had fun time embellishing this name scrapbook! Here is how it looked all finished! How cute is this lil one!